Monday night, I attended the vigil/Stonewall Democrat-sponsored rally that sprawled the blocks surrounding the historic Stonewall Inn to process and mourn Saturday night’s massacre at Pulse nightclub in Orlando, Florida, with my NYC queer community. I want to first thank the organizers of this event for reading the names of every identified victim of the mass shooting at the end of our 90 minutes spent in community together. However — I am angry, as are many in my queer family — about a number of things that happened at the event which felt more like a political rally than a vigil. But the most sour taste I can’t seem to wash out of my mouth is the introduction of straight pop star Nick Jonas as one of the evening’s speakers (he was only one of a few straight speakers). I don’t want to draw too many conclusions about Jonas’ and his team’s intention with this aggressive “queerbaiting.” But one thing is certain: this is not a time for straight allies to take up space — especially if you’re an ally who just dropped an album three days ago. 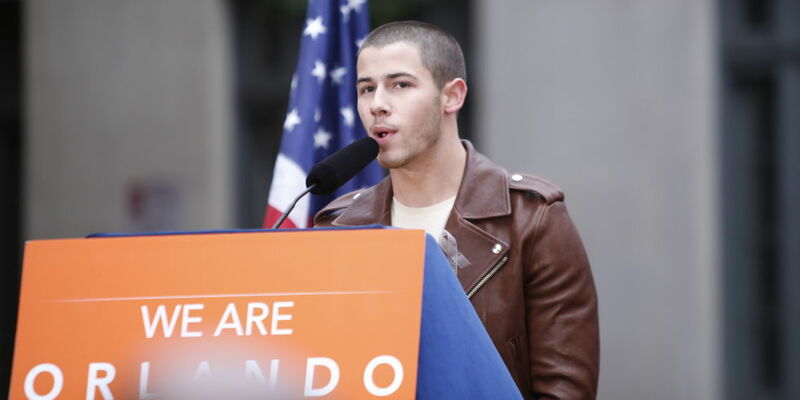 JamesMichael Nichols, Dear Nick Jonas, There’s A Way To Be A Straight Ally. That Wasn’t It, HuffPost Queer Voices.